Lee Friedlander (b. 1934) is known for his candid portraits of people in their everyday environments. 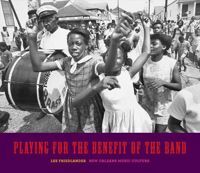 This volume in his Human Clay series of books highlights a lively collection of Friedlander's photographs of celebrations-both public and private. 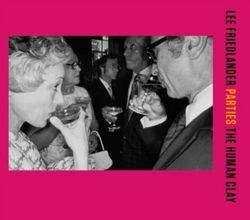 From intimate gatherings to boisterous street parades, costume parties to black-tie affairs, Friedlander captures the spirit of these events and the ways in which they are commemorated. He documents surprisingly intimate moments-couples stealing a kiss, friends engaged in spirited conversation or laughing over drinks, guests lost in music on the dance floor. The images also feature a number of celebrities, including actors Ingrid Bergman and Sidney Poitier, enjoying the revelry at galas and parties, such as one at the famous Sardi's restaurant in New York.